This gorgeous Turquoise matrix gemstone is so dramatic. 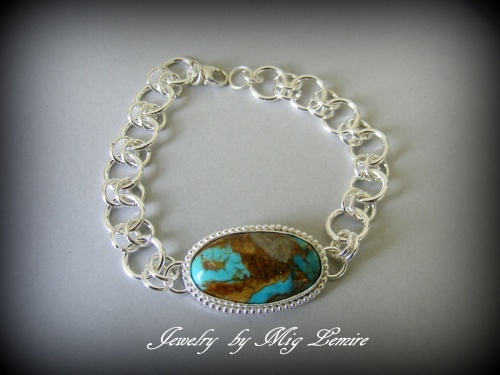 For people who love turquoise, this is for you. Soldered rings woven together to make this bracelet and has lobster claw clasp. All sterling silver, piece measures 7 1/2" but can be made a different size just let me know if you want another size.